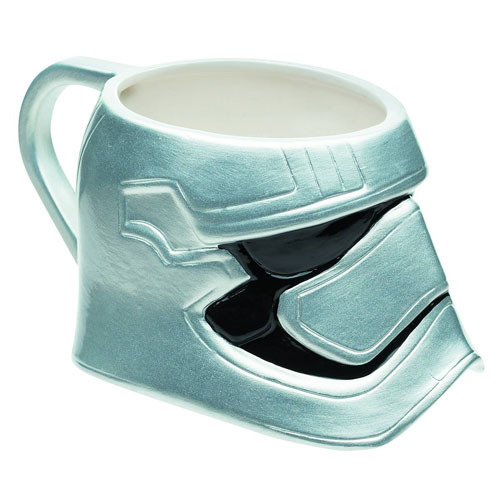 Drink in the power of the Force with your morning coffee when you drink from this Star Wars: Episode VII - The Force Awakens Captain Phasma Molded Ceramic Mug. Based on the seventh installment of the Star Wars saga, this molded ceramic mug brings the leader of the First Order Stormtroopers into your home! Hand wash only. Not dishwasher safe. Measures 3 1/2-inches tall. Ages 8 and up.